In short, this requires the FWS to send a written response to any state agency, when the FWS regulation is incongruent with the petitions or comments from that state agency. So if the State of Alaska Dept of Fish and Game, in commenting on the proposed designation of critical habitat, said ‘the FWS haven’t shown why so much land is needed’, the US F&WS would not only need to address that comment in the published rule itself, they would need to send a letter to the Alaska Dept of Fish and Game containing their (F&WS’) reply. Simple enough. So the F&WS actually sent their response to the Alaska State Governor; in other words, the guy who the state Dept of Fish and Game work for. I’m pretty sure the Governor should be able to, easily enough, forward that letter to his own state agency. Instead, the federal judge pings the F&WS with “procedural deficiencies”, and the designation is back to the drawing boards.. What a clown. I mean, it’s a good thing polar bears aren’t endangered or anything. 190 000 square miles hinges on a letter that went to the State Governor, instead of his Dept of Fish and Game. Seriously! Talk about “procedural deficiencies” alright. So what else is there? Well, Judge Beistline also wrote that the designation was “went too far and was too extensive”. What a tool. Here’s a link to an image showing the designation have a look at how much of that is onshore. Something like only 10% of the designation is onshore. But the judge’s position isn’t to decide on what is and is not critical habitat. It’s to decide on whether the designation is legal. And, essentially, because of things like sending a letter to the State Governor instead of his F&G Dept, or not actually providing “support for the second and fourth features outlined by the Service” – referring to access routes from the coast to onshore den sites. In other words, the F&WS didn’t show evidence that the polar bears need the land between, say, the beach where they come ashore, and the the dens they might dig 10 miles in from the coast. Judge Beistline recognized that the F&WS showed documented evidence of the dens themselves, but that they didn’t show how the polar bears got from the sea ice to those dens. Classic. I wonder what options he thinks they have other than, say, oh, walk. She’s wrong, more than once. 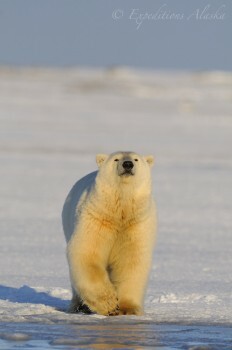 Part of the impact of the designation, and the purpose of it, is to protect polar bear populations. Making life difficult, she’s wrong again. In effect, by designating such a large area, it actually makes things EASIER for local communities; permits, etc, would be easier to attain if the designated area is so vast that a small thing live even a drilling pad is but a spec on the entire designation. if a smaller footprint were made, specific to den sites, etc, then any permit needed that might impact such a site would be about impossible to attain. 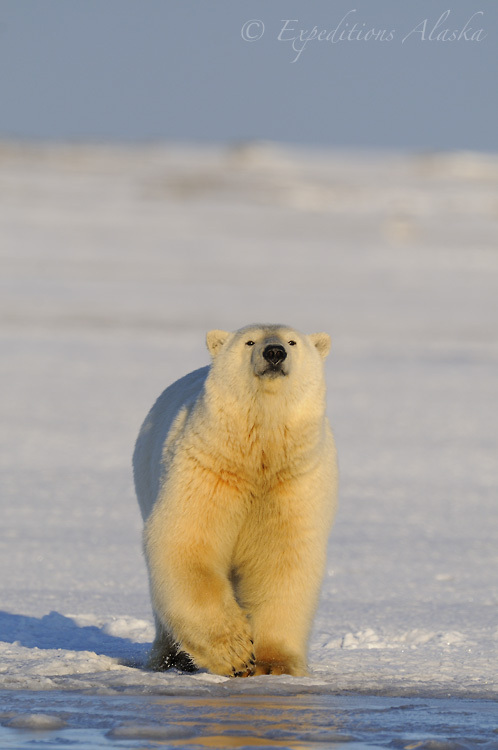 Lastly, polar bear populations are not all abundant or healthy. A 2011 study found 7 of 19 subpopulations in decline. Projected impact on habitat and populations for the foreseeable future, given even conservative climate change estimates, are grim. But that’s another topic. The point is, her comment is as asinine as it is ridiculous.